Long gone are the days when shopping meant driving to a brick-and-mortar store and standing in long checkout lines. Now, you’re just a tap away from purchasing whatever you want and getting it delivered right to your doorstep. More and more people are making the shift from desktop to mobile shopping. 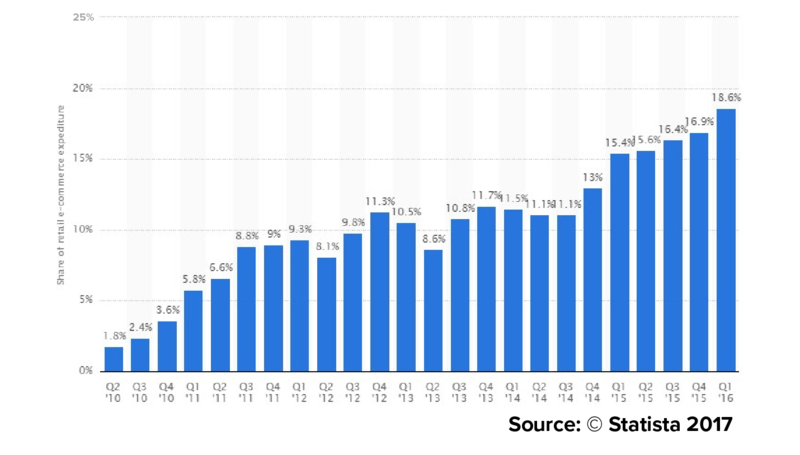 Online shopping via mobile devices has almost doubled from 8% to 15%, while the same for desktops has dropped by 23%. 56% of all smartphone users are making purchases from mobile apps. Mobile commerce is the future of online shopping. 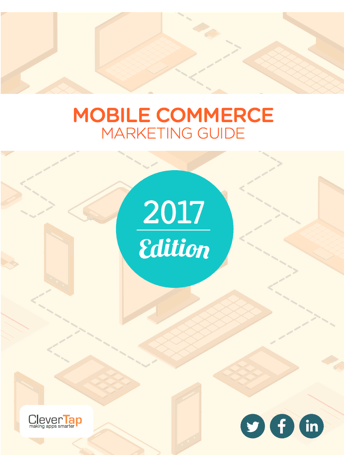 Over 2 billion mobile users will make some sort of m-commerce transaction by the end of 2017. With this shift from brick-and-mortar and desktop purchases comes a shift in purchasing mentality/behavior. 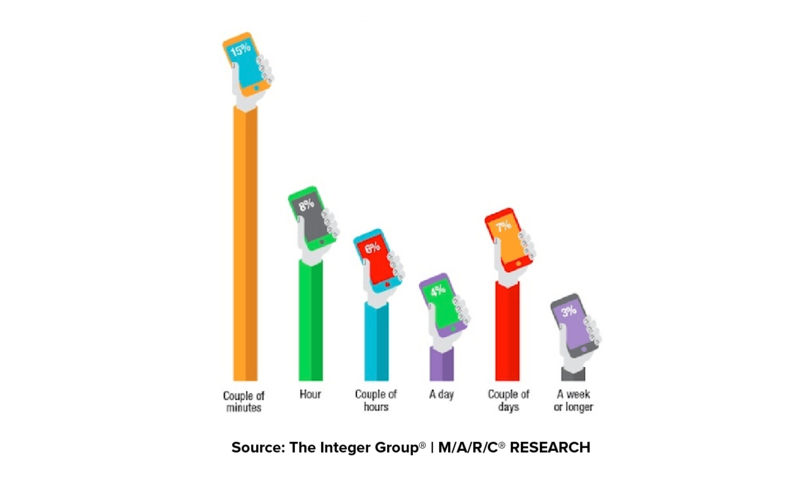 The average mobile purchase decision happens within few minutes and not days or weeks. But how does mobile technology shape consumers buying habits? Learn about the various marketing channels that popular retail brands are increasingly using in their growth strategies. Mobile devices now account for 19% of all US retail business, and is estimated to grow to 27% by the end of 2018. Launching an online store has become much easier compared to scaling an online business, even for the most seasoned ecommerce giants. 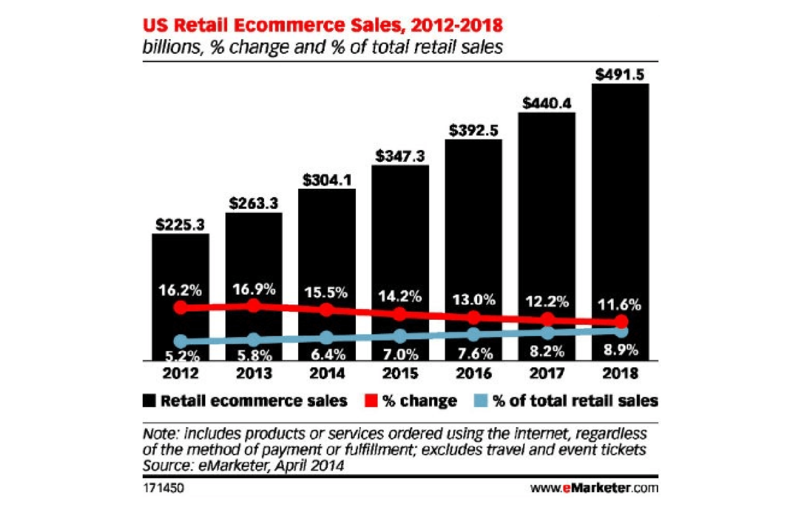 M-commerce sales are scaling exponentially compared to e-commerce, while many retailers are still struggling to capitalize on their online sales channels. Content delivery across wireless devices is becoming faster, more secure, and scalable. So, there is broad speculation that m-commerce will surpass e-commerce as the method of choice for digital commerce transactions. Higher bandwidth, from 3G to 4G (and 5G in 2020 and beyond). This graph shows figures for the US market. Mobile traffic to websites crossed the 40% mark in 2016. Savvy marketers should understand how people are shopping on mobile — and then develop marketing strategies that target these customers accordingly. User acquisition is a scalable investment for mobile marketing teams, and this makes user retention all the more important. Online businesses implement a successful user engagement strategy to reap the benefits of long-term customer value. With the holiday season approaching, it is essential that all mobile apps optimize their conversion rates. Engaging new users the right way during this holiday season could win you loyal customers. There are a few ways that an online business can increase their mobile app marketing ROI through push notifications, which have been shown to increase user engagement. Here are some tips to guide m-commerce businesses to improve user engagement and retention. Almost 80% of users do not use newly downloaded apps after the first day. A dormant user doesn’t necessarily mean a user is unhappy with your app. 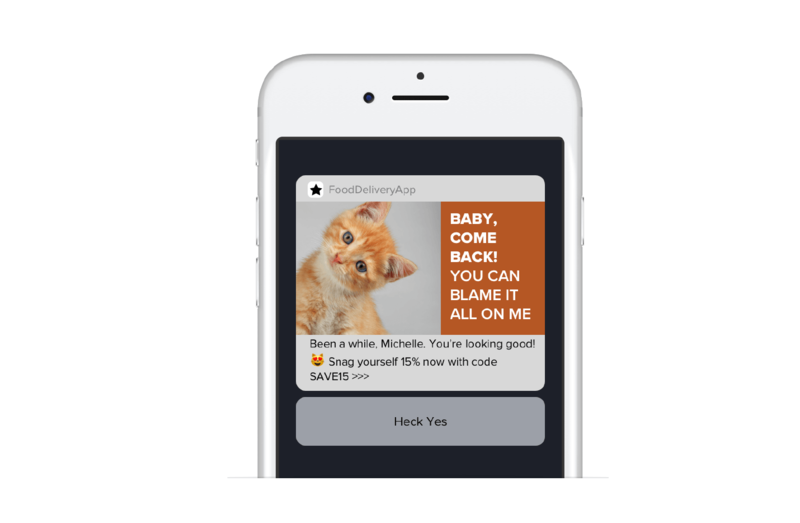 You can engage these dormant users outside the app using personalized emails, SMS, and geo-targeted ads to bring them back to your app. Schedule a push notification for users who opted in during installation that will be triggered after several days of dormancy. Shopping cart abandonment rates are an appalling 85.6 % on mobile, compared to an already high 73.07 % on desktop. Always personalize your message for better user engagement and retention. Use a powerful mobile analytics tool to gather information on user journeys and segment users based on past behavior. 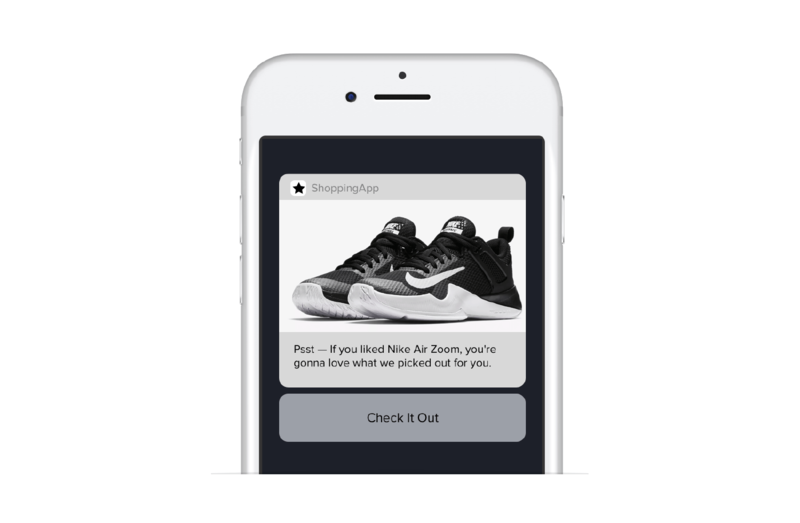 This data helps you to send personalized push and in-app notifications that engage users. You can also create push notifications based on geography and trigger the campaign when the user is near the target area. M-commerce presents a tremendous opportunity to mobile marketers who are able to engage and retain users with the right marketing strategy. We at CleverTap have been at the forefront of mobile marketing and behavioral analytics.